Shall not the gods have a say in how they may be worshipped? In any dispute or decision about the traditions and practices of Hindu temples such as who should worship in the temple, whether women should be allowed to worship or how one should perform the worship, one should always consider three criteria, the temple administration, the devotees who worship there and contribute to its maintenance, and the gods who are housed in that temple. We cannot ignore the specific requirements, rules and restraints that should be observed in deference to the gods of the temples and the prevailing traditions and customs since it forms part of the worship and devotional service, nor can we take liberties with them according to our convenience and changing morals and social norms, since it may cause them displeasure and defeat the very purpose of worshipping them. Where the rules are unclear or where the tradition is silent about the observances, one may take liberties, but if history points otherwise, one should honor the prevailing traditions and customs and abide by the verbal testimony of the scriptures if it is available. 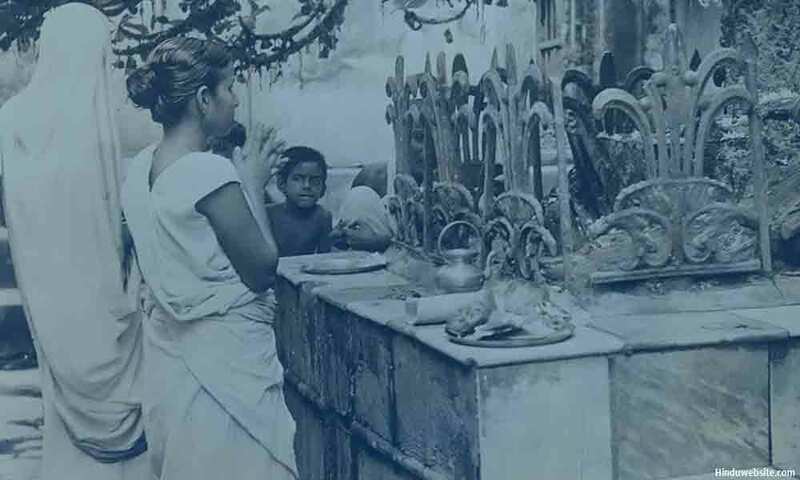 Some temples may have traditionally barred the entry of women into the premises for worship or service and some may have imposed similar restrictions on non-Hindus or particular categories of people such as widows or people engaged in certain professions. In all such cases, temples authorities must exercise utmost caution in explaining their position. No religion is perfect, since much of what we find in a religion evolves from our social, moral and cultural values and spiritual expression. As devotees, human beings are supposed to surrender their will to the will of gods and worship them according to the tradition or the established practice. However, in recent controversies about certain temples, which discriminate against women and deny them entry, such considerations have been ignored. Who should decide what is right for the deities or who should worship them? People who put themselves at the center of such controversies are mostly secular people who want to impose their modern ideological imperatives upon an ancient tradition. Most of them do not respect any religion or worship any deity. Yet, they want to decide how others should practice their faith in which they themselves have little faith. A temple is an abode of gods or goddesses. Just as you have certain rights in your house regarding who should enter or live there, the gods in the temples should have their say according to the tradition or scriptures on how they should be worshipped or revered. It is not up to the people, especially those who have no respect for them, to decide what is good for them, or treat them in whatever manner they like. It is disrespectful to gods, and it defeats the very purpose of worshipping any deity. Inside the temples, you have to obey the will of God and pray, but you cannot insist on how the temple should conduct its affairs, unless you are vested with necessary authority because of your position or traditional right. In the presence of a deity, you have to let go of your ego. It is not our tradition to dictate policy to them. If you do not like the deity, or his or her ways, you do not have to worship them. We have many deities who are worshipped according to the not so pleasant left-hand methods of Tantra. Would it be fair to suggest that those temples where they are worshipped should be closed or their methods of worship should change? Many Hindu temples, which are older than 100-200 years have been following their specific customs for a long time. They are patronized people who believe in them. Each temple is a center of faith, but does not necessarily belong to mainstream Hinduism. When it suits them, the courts themselves argue that Hinduism is not a religion. It is also true that every temple does not necessarily practice the same type of Hinduism. Therefore, we should not ignore their peculiarities, historical value, and unique practices. It is not proper to disrupt them because we want them to fall in line with the secular values of our generation. Each case should be considered on merits, rather than forcing them all to become modern temples of secularism and progressive values. If women really want to take their gender fight into the domain of Hindu temples and assert their right to worship, they may collect funds and set up new temples exclusively for women, with women serving as priests and barring entry for men if they decide so. Further, they can build new temples with better architecture near the temples where women are not traditionally allowed and house the same deities for worship by women. No one can prevent them from doing it. Perhaps, the secular elite probably would not like the idea of constructing new temples or strengthening the faith since they are doing their best to destroy the ancient ones and weaken the faith. However, we believe it is the right way to assert women’s power and set a new trend which can be carried forward by future generations.